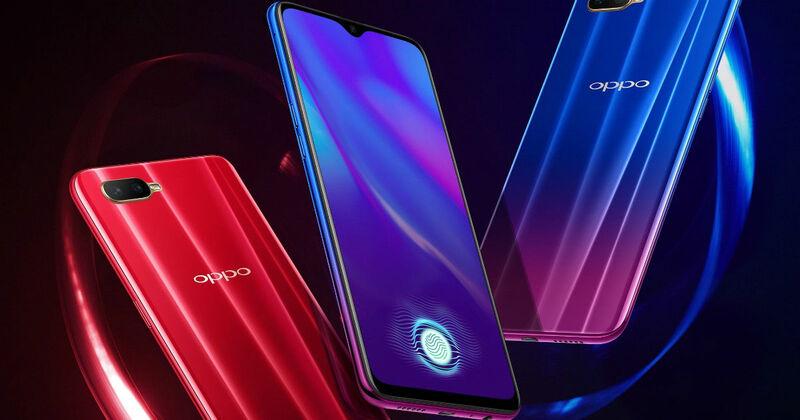 Oppo K1, a mid-range offering from the brand, has been launched in China with a new colour variant, Ink Black. The smartphone has been provided with a glossy finish at the back and it will go on sale from 12th December in China. The K1 has been the brand’s cheapest to feature an in-display fingerprint scanner. Previously, the brand has launched two colour variants for K1, Van Gogh Blue and Mocha Red, in China. A month ago, the Silver Green colour variant came for the same model in China. All three colour options for K1 came with gradient finish while the Ink Black colour variant flaunts a glossy finish. Apart from the different colour variant, Oppo K1 carries out the same specifications. The device flaunts a Super AMOLED 6.4-inch bezel-less display, which is provided with a water drop notch for the front camera. The display comes with a screen resolution of 2,340 x 1,080 pixels and has a 91 per cent screen-to-body ratio. The display has been provided with the Corning Gorilla Glass protection on top. In terms of performance, it is equipped with the Qualcomm‘s Snapdragon 660 octa-core processor having 4GB RAM and 6GB RAM models. The internal storage capacity of both the models is 64GB and carries a dedicated microSD slot for further storage expandability. The uniqueness of the smartphone lies in the in-display fingerprint sensor, which has been provided with “light-sensitive screen fingerprint technology”, which uses the in-display lens solution for a more accurate response. For the optics, it comes with 16MP + 2MP rear lenses and a 25MP front-facing camera. The device is powered by a 3,600mAh Li-ion battery and runs on Android 8.1 Oreo OS with company’s own user interface. The price of the 4GB variant is 1,599 yuan (around Rs 16,500) and 1,799 yuan (around Rs 18,500) for 6GB RAM variant.